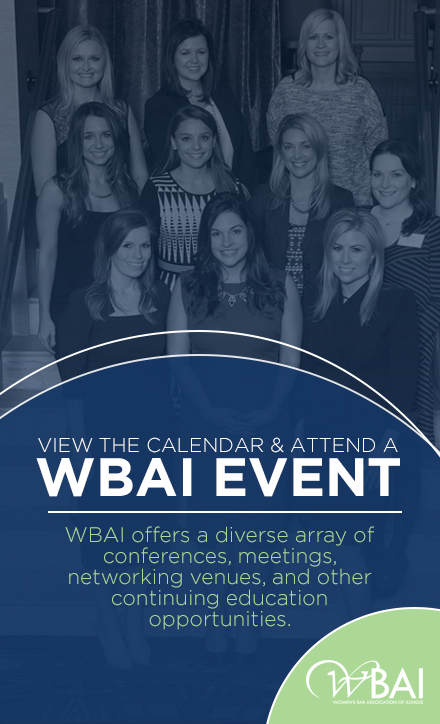 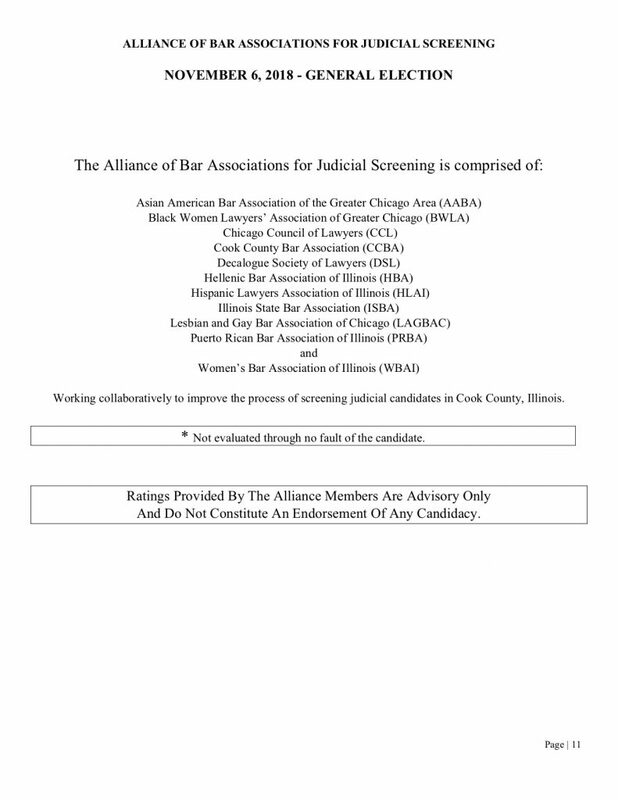 The WBAI is a member bar association of the Alliance of Bar associations, which rates judicial candidates based on detailed information supplied by candidates, a background check by trained lawyers, and interviews of each candidate. 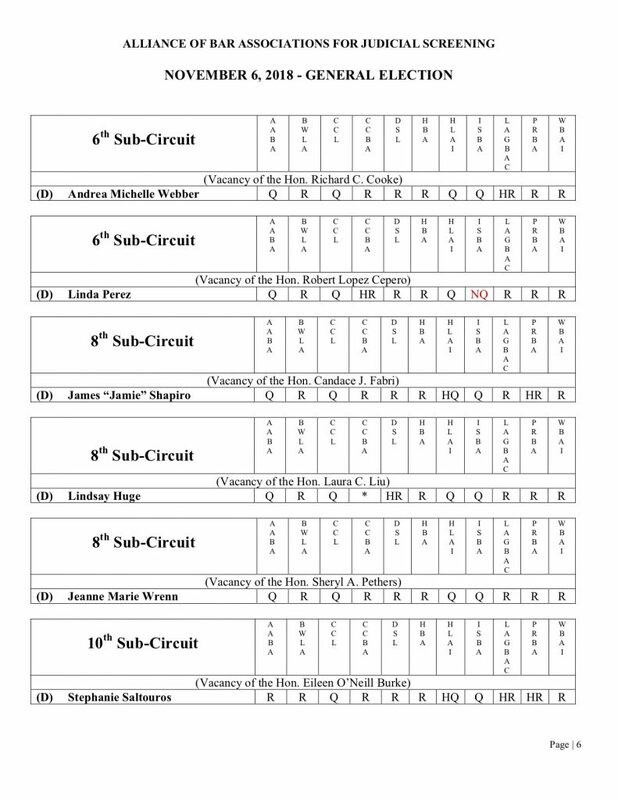 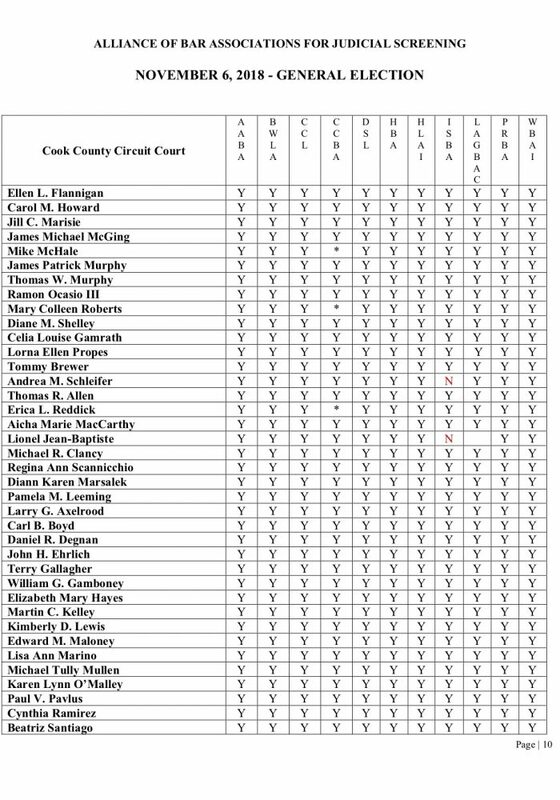 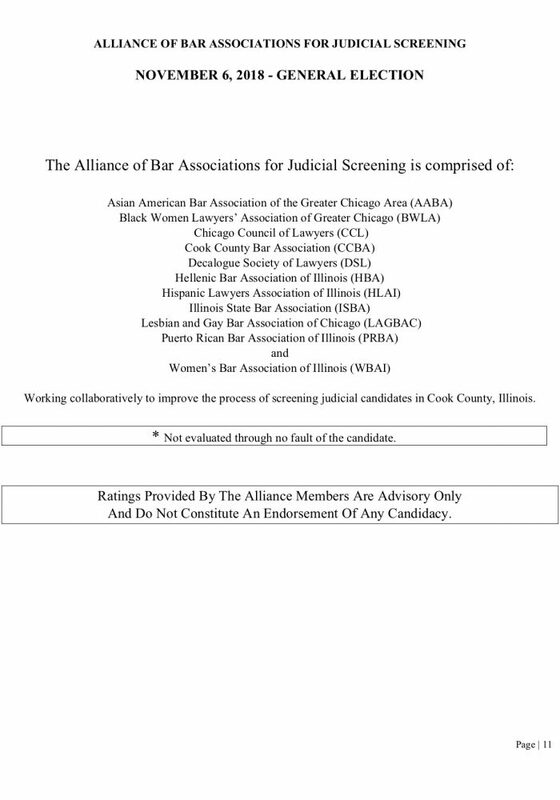 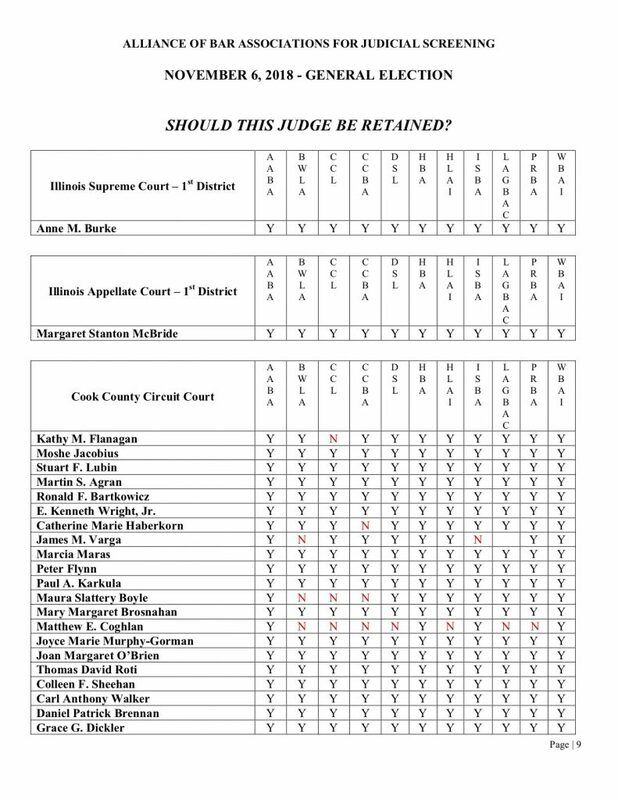 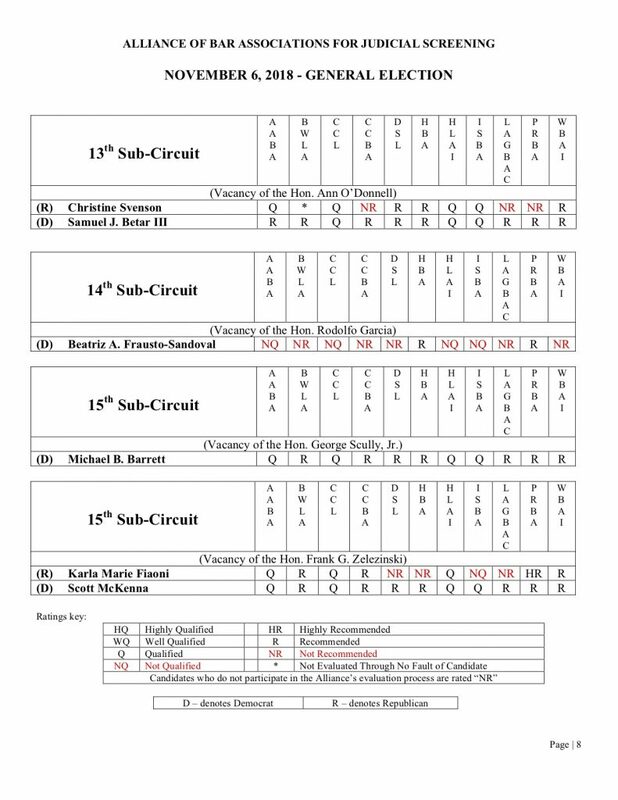 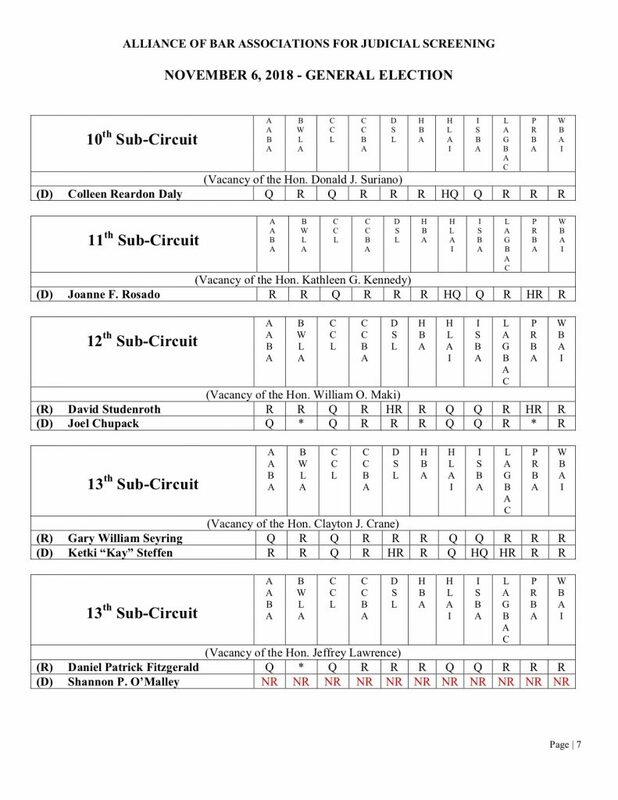 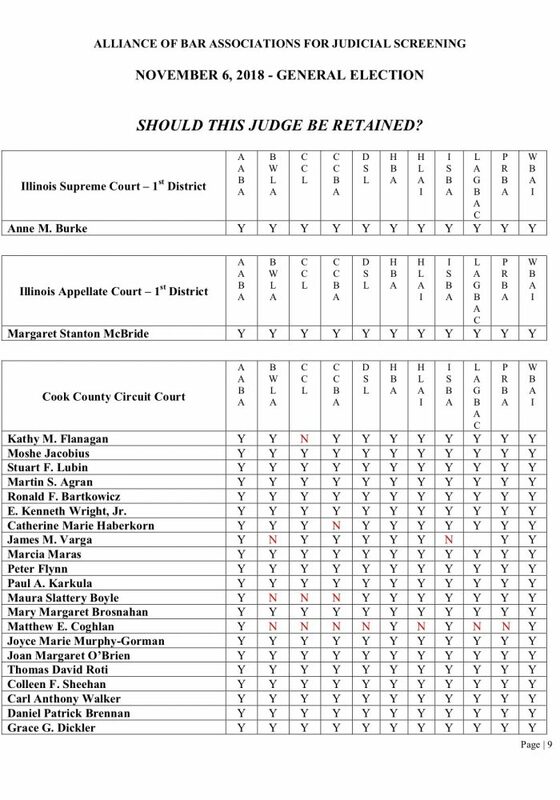 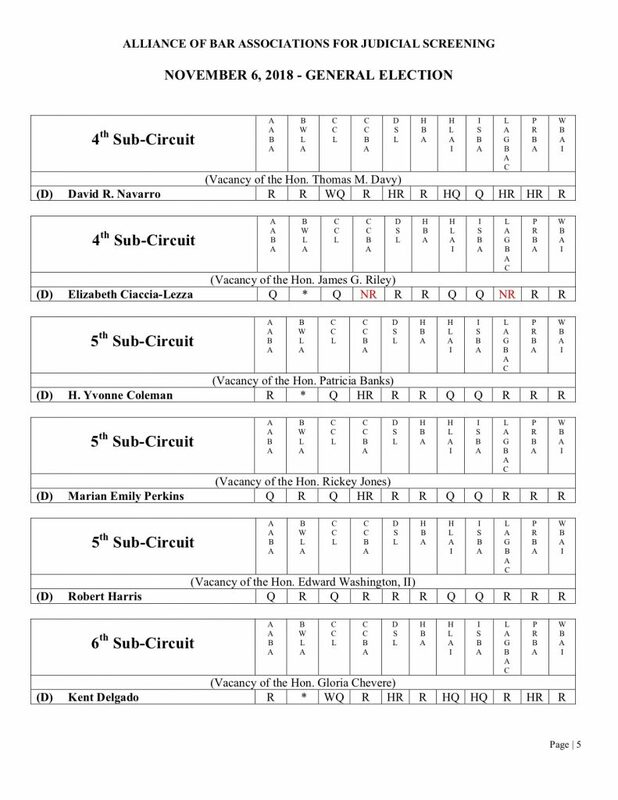 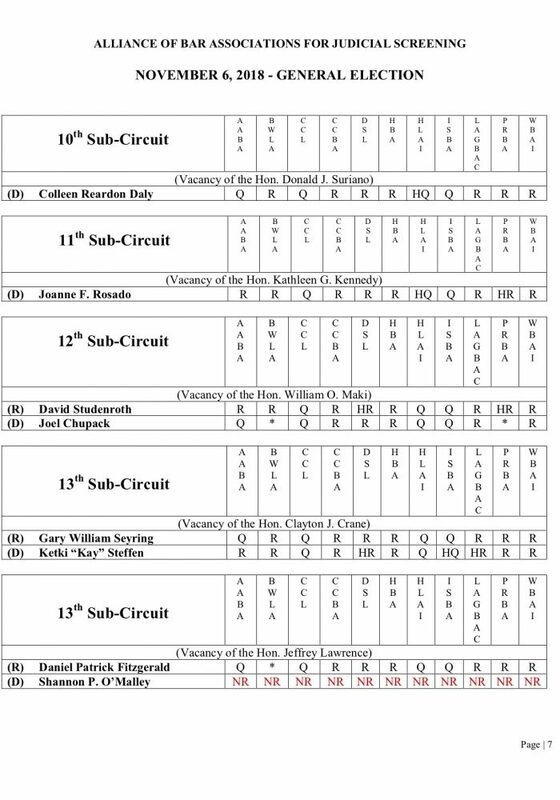 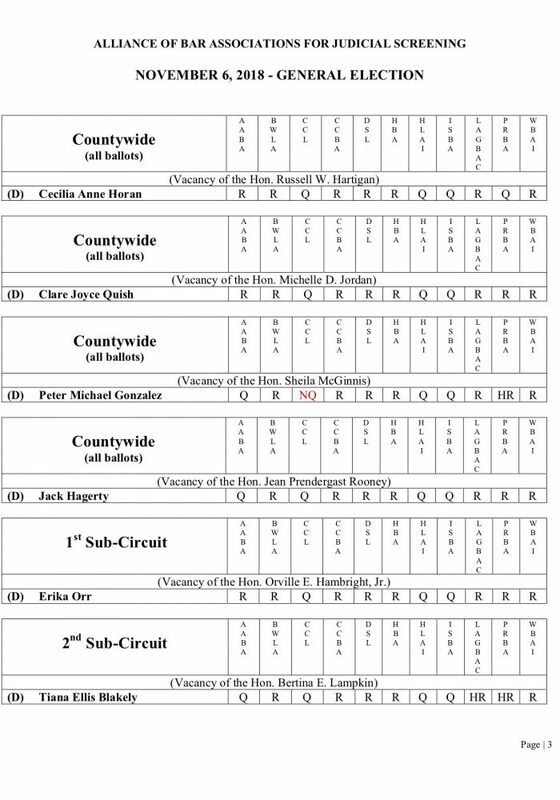 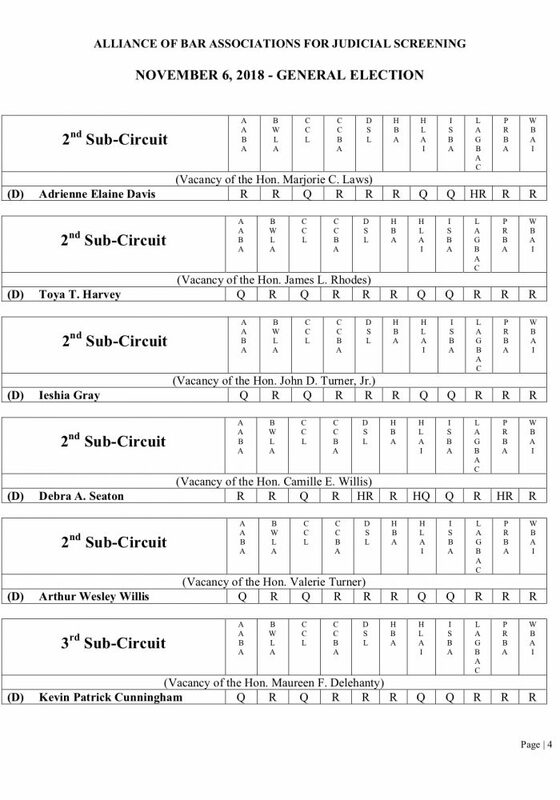 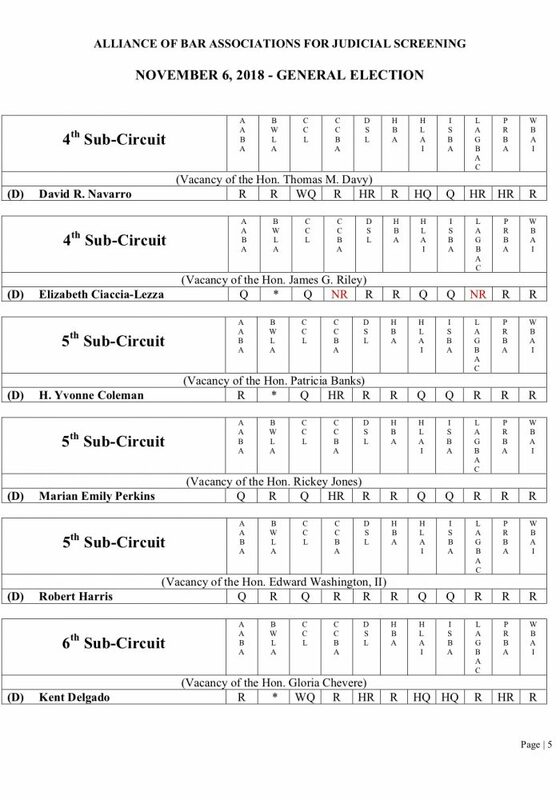 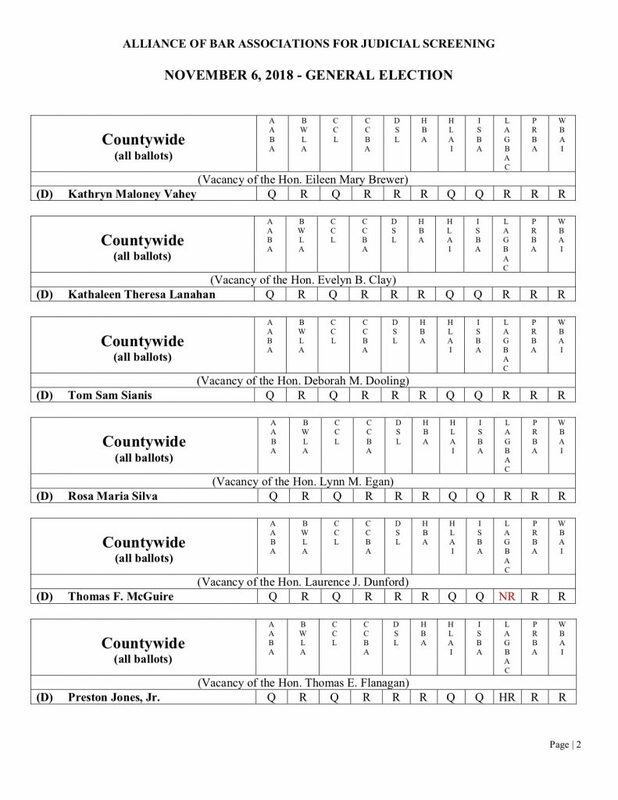 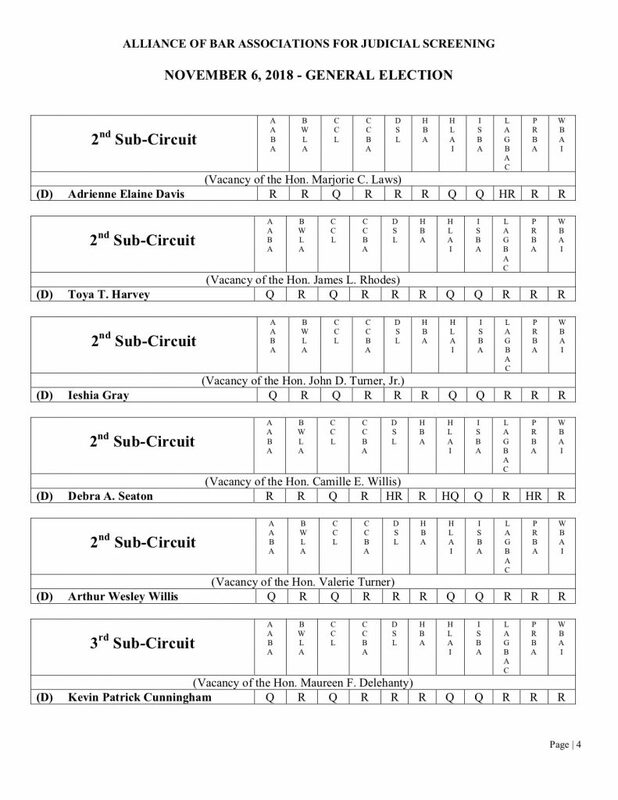 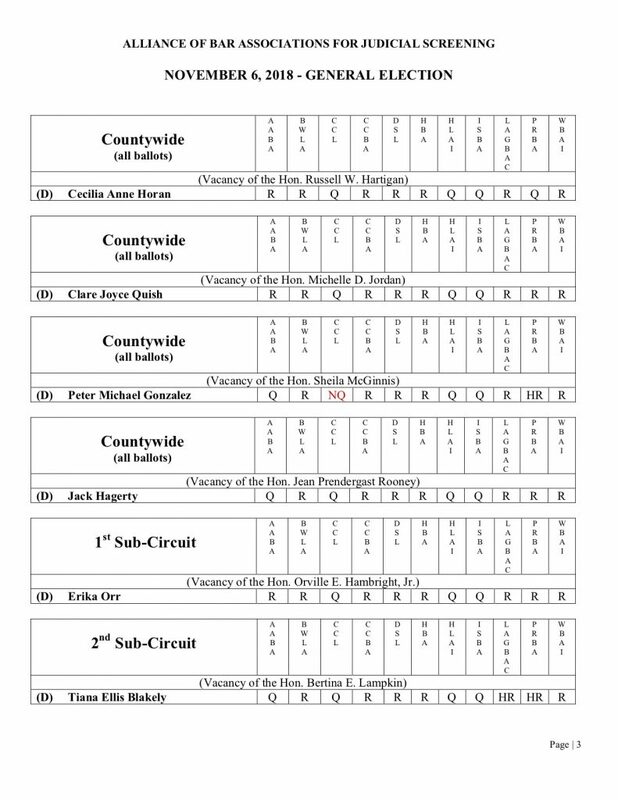 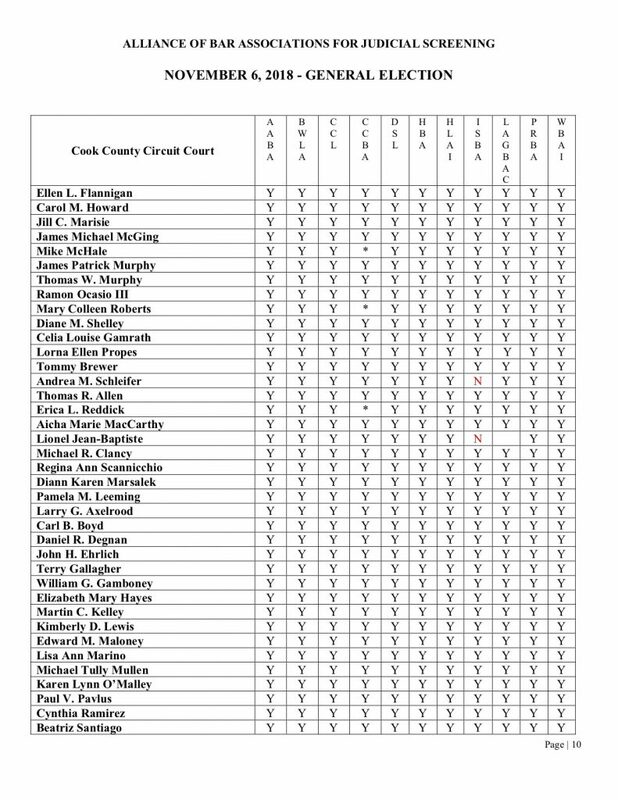 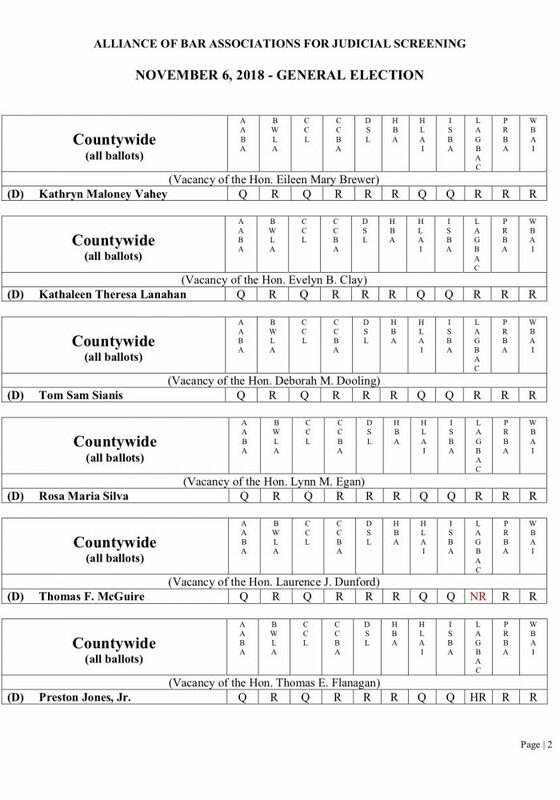 Below is the Alliance of Bar Associations’ ratings grid for judicial candidates. 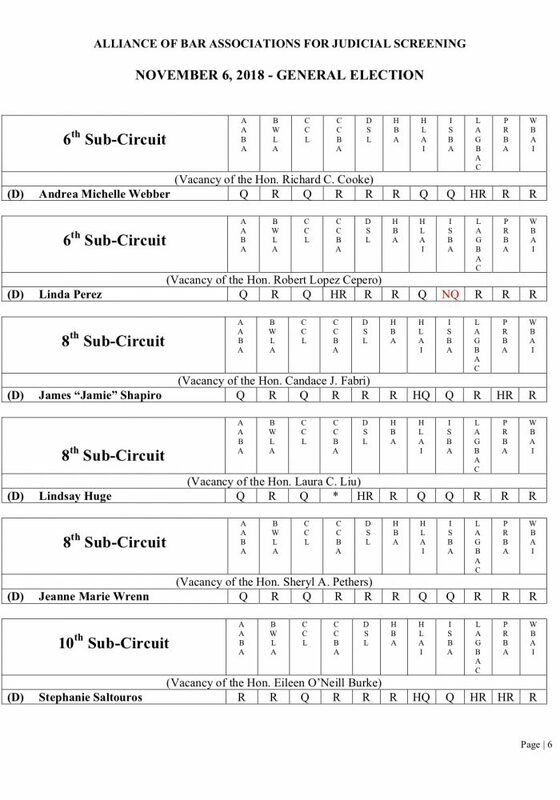 We hope that this grid is helpful to you when you go to the polls for the November 2018 election. 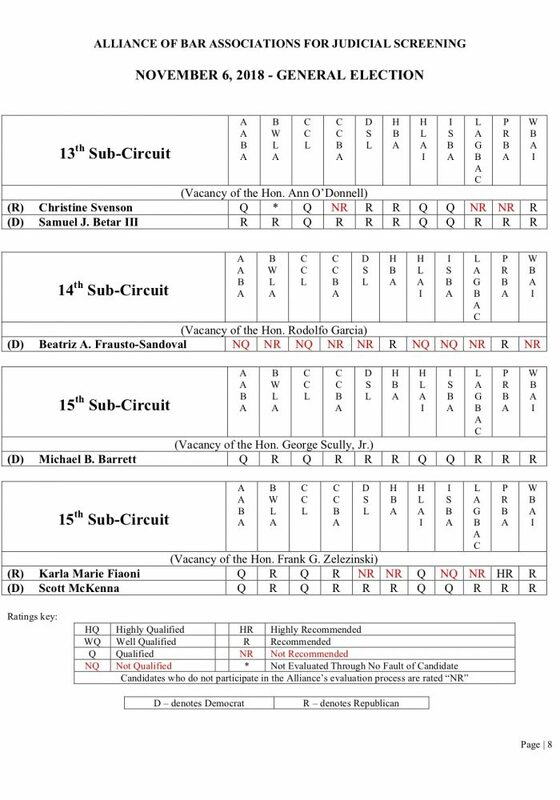 Feel free to share our ratings with your friends, relatives and colleagues. 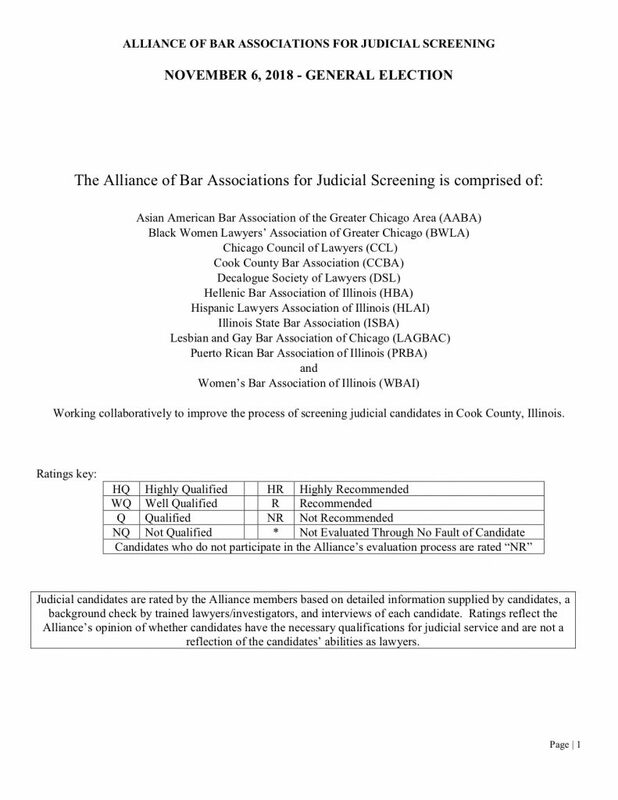 Please note that “Recommended” is now the highest rating that the WBAI provides. 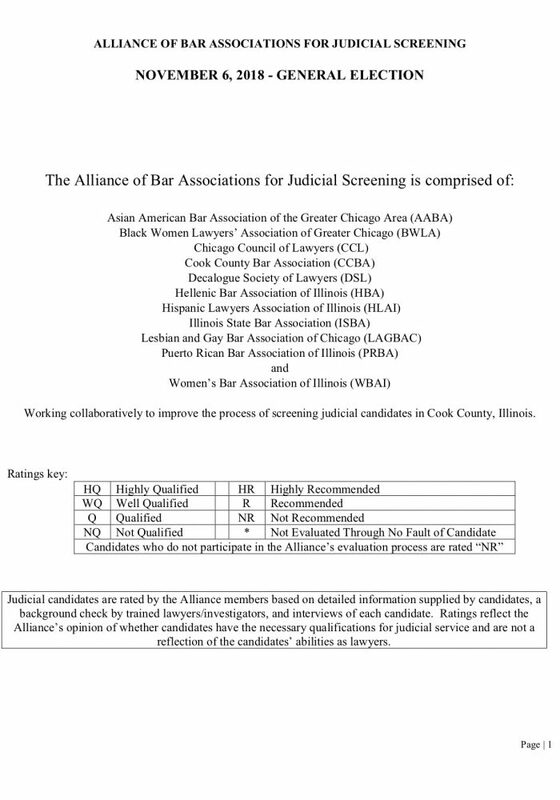 To join the Judicial Evaluation Committee, contact a co-chair today!